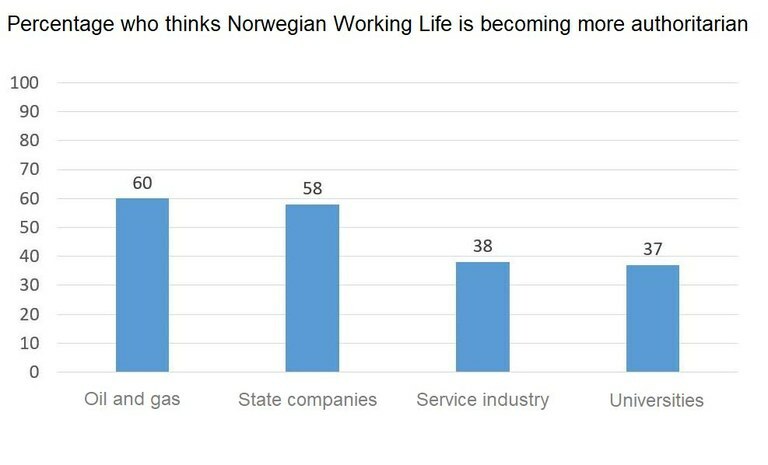 It is the second time six Norwegian trade unions together with the Work Research Institute, AFI, present a comprehensive study of how much collective decision-making their members feel they have in the workplace. Compared to last year, there is a slight fall in the number of people who think working life has become more authoritarian. In 2016, 45 percent of respondents said they felt working life had become more authoritarian. In 2017 the number had fallen to 42 percent. If you break the answers down into separate sectors, you get larger changes however. The highest number of respondents who say things are moving in an authoritarian direction are found in the oil industry – a full 60 percent. “Compared with last year, the differences are not so big, but there are issues which we did not look at last year which we have studied a bit closer this year,” says Eivind Falkum, who has been leading the work with the barometer. The most important of these issues is to look at how the four management models which were identified in the first Collective decision-making barometer, influence relations between employees, employers, trade unions and management. The different management models are more or less common in different businesses. In the health and public sector, standardisation and control is becoming more common as a management model than in other sectors. 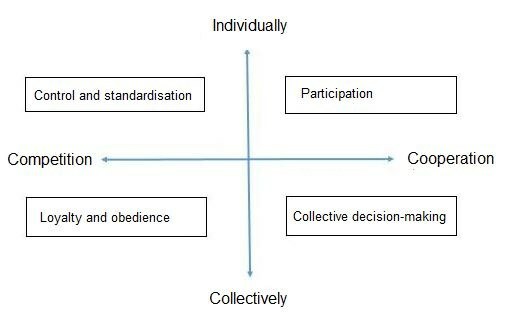 Collective decision-making is most common in universities and university colleges. “Management introduce various control and standardisation measures with the aim of making the business more efficient,” says Eivind Falkum. The result is often the opposite, however: More conflicts and less efficient change. “Successful change and development processes benefit when employers, management, trade unions and employees trust each other. Both participation and collective decision-making helps strengthen the trust in owners, the board and top management,” the researchers behind the barometer write. “Trust seems to be a precondition for creating the relations that are needed for an efficient process of change,” says Eivind Falkum. “Introducing controls and standardisation is contra-productive,” says Christin T. Wathne, who has been focusing on what the barometer can say about conflicts in working life. This is the second time the Collective decision-making barometer has been carried out, but some of the questions were also used in 2009, which provides a greater time perspective and shows greater change. The Collective decision-making barometer is itself an example of this kind of trusting relationship. 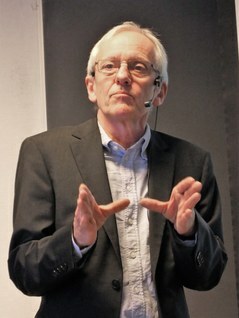 “It is a pretty unique partnership between trade unions from all of the four main unions: Unio, AF, LO, YS as well as independent trade unions,” said Arild H Steen, Director of AFI, during a debate between the six unions which have financed the barometer, after its presentation. “I want to highlight another thing which is important for us who work in the oil industry: How the respect for qualified knowledge is diminishing. The reason the Norwegian oil industry has been able to deliver such good results without any major accidents like Deepwater Horizon, is that we have knowledge and competencies and a backbone which gives us authority and the power to speak out. You should speak out,” said Hilde-Marit Rysst from SAFE, an independent trade union which organises oil workers. “You can choose any major accident within our trade, and you will find people who did not dare to take the responsibility they should have taken,” she said. “You could be excused for wondering why the management models with control and standardisation are always presented as ‘modern’. They mainly lead to less influence. We should have standardisation within the health sector when it leads to improved treatment, of course. But much of the standardisation has more in common with the Taylorism of the late 1800s,” said Christian Grimsgaard from the Norwegian Medical Association. One theme which the Collective decision-making barometer looks at only in passing, but which most probably will be important in years to come, is the impact of artificial intelligence on workplaces. In order for such a development process to work, the good relations in the labour market are just what is needed, they point out. Left: Ulf Madsen, The Norwegian Engineers and Managers Association; Audun Ingvartsen from The Norwegian Organisation of Managers and Executives; Petter Aaslestad from The Norwegian Association of Researchers, Hilde-Marit Rysst from SAFE; Christian Grimsgaard from the Norwegian Medical Association and Sigve Bolstad from The Norwegian Police Federation. is produced by Eivind Falkum, Bitten Nordrik, Ida Drange and Christin T. Wathne.